The following is a news release from Melaleuca. 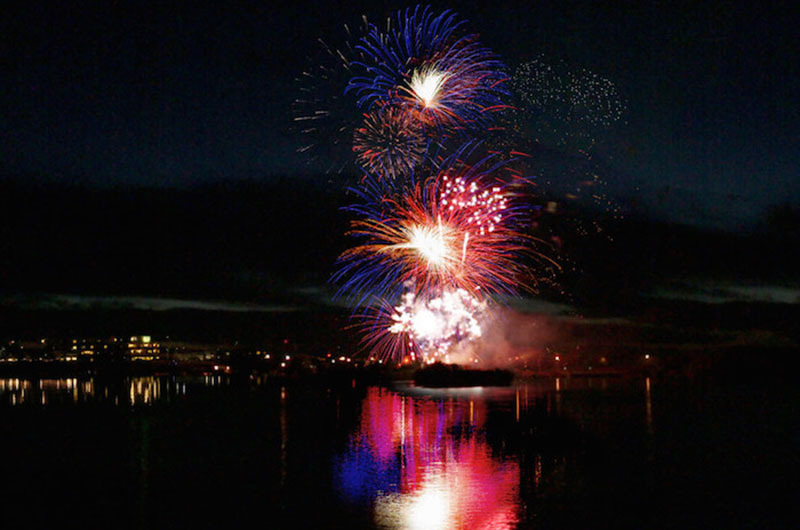 IDAHO FALLS — This year’s Melaleuca Freedom Celebration will be unlike any other fireworks show in Idaho Falls’ history. This is the show’s 25th year. Not only does the 25th anniversary promise to deliver far more firepower and a more dazzling pyrotechnic display than ever before, but it will do so from a new location along the banks of the Snake River, namely Snake River Landing. In recent years, Snake River Landing has held several large events attracting thousands to its pedestrian-friendly environment with wide sidewalks and walking and biking paths along the Idaho Falls Greenbelt. Snake River Landing is less than two miles south of the previous launch site at the Johns Hole boat dock. It offers several restaurants, clear sight lines in every direction, plenty of space throughout its 450-acre development for attendees to park and spread out, and the capacity to accommodate tens of thousands of people. The wide-open spaces of Snake River Landing will allow Melaleuca to launch much larger shells with a much larger array of special effects than were available at the previous launch site. These pyrotechnic enhancements are now possible because the new site at Snake River Landing provides a larger fallout area to safely catch debris from higher fireworks. Plus, the new site offers a 300-foot firing line on the ground so multiple fireworks zones can be launched simultaneously. In preparation for the Melaleuca Freedom Celebration, Snake River Landing will provide more than 125 acres for parking for the event. Because of growing trees and the vicinity of homes and other structures, Melaleuca has reluctantly been forced to choose a new launch site. The ideal fireworks show uses the entire sky in the same way an artist uses a canvas. The idea is to have shells firing in the lower sky, the middle sky and the upper sky and to have those shots choreographed note-for-note and shell-for-shell with the music and messages being broadcast over the radio. Over the past 20 years, the trees along the Greenbelt have grown to the point that they obstruct the view of much of the lower fireworks. This has caused people to not be able to see much of the show unless they were fortunate enough to get one of the ideal spots. And the closeness of the homes to the launch site prohibited Melaleuca from firing larger fireworks that would normally light up the upper sky. With the growing trees preventing many from seeing the lower fireworks, and safety issues preventing the larger fireworks, Melaleuca could only use medium-size shells in the center of the sky for its show. And although Idaho Falls witnessed more shells in 31 minutes than any other city west of the Mississippi, the site limited Melaleuca’s ability to use the latest pyrotechnic technology for the phenomenal special effects, which always take larger shells. There are new, spectacular developments every year in the field of pyro-technology that Melaleuca simply has not been able to use because they are only available in the larger shells that are not safe to use in the previous launch site. Because of the closeness of the homes and other buildings to the launch site, there is not much tolerance for wind. In Idaho Falls, there are often winds that come up in the evening. And although there’s only been one year where the fireworks have had to be shut down because of the wind, each year the fire marshal and the pyrotechnicians hold their breaths and never know until the last minute whether the winds are going to die off enough to launch the show. With the trees getting larger, and no reason to believe that the winds in southeast Idaho are going to change over time, Melaleuca has found itself in a situation of being forced to choose a new location. Over the past several months, Melaleuca has been working with city and county officials, the Idaho Falls Fire and Police Departments and the Bonneville County Sheriff’s Office to determine the ideal location from which to launch the biggest fireworks show west of the Mississippi. After an intense selection process, Snake River Landing has been chosen as the event’s home for the next several years. Melaleuca has been hosting the Melaleuca Freedom Celebration since 1992. From 1992 to 2000, the show was billed as the third-largest show west of the Mississippi. In May 2000, Melaleuca CEO Frank VanderSloot announced that he was tired of having to say “third-largest” and committed to expand the show to be the largest show west of the Mississippi. Since then, Melaleuca has been monitoring the other major fireworks shows throughout the West. Melaleuca has consistently expanded its show each year to stay in front of other competing cities including Seattle, Portland, San Francisco, Los Angeles, Phoenix, Denver and Houston. Each year Melaleuca has expanded the show to make each year a little better than the previous year. But this year, on its 25th anniversary, the Melaleuca Freedom Celebration will expand its budget by more than 30% over the previous year. After several months of dialogue in the community with hundreds of local citizens as well as city and county officials, Melaleuca has found Snake River Landing to be the ideal location in Southeast Idaho to host the Melaleuca Freedom Celebration. 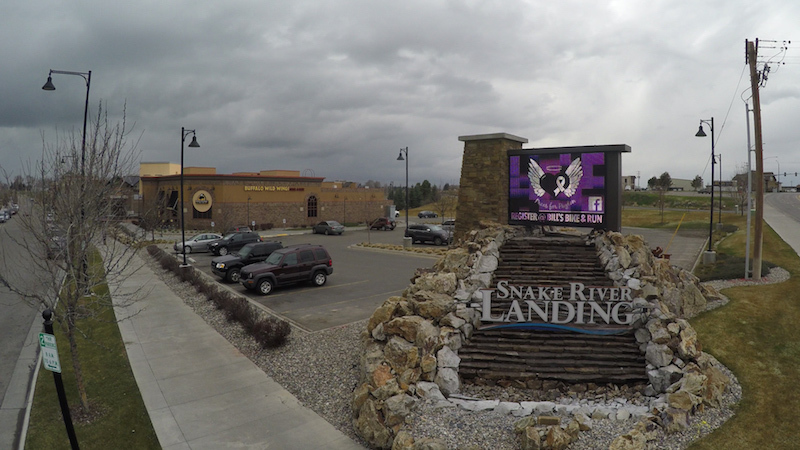 Many in the community consider Snake River Landing as Idaho Falls’ “Crown Jewel” when it comes to development in Southeast Idaho. It is clearly the future of the city. 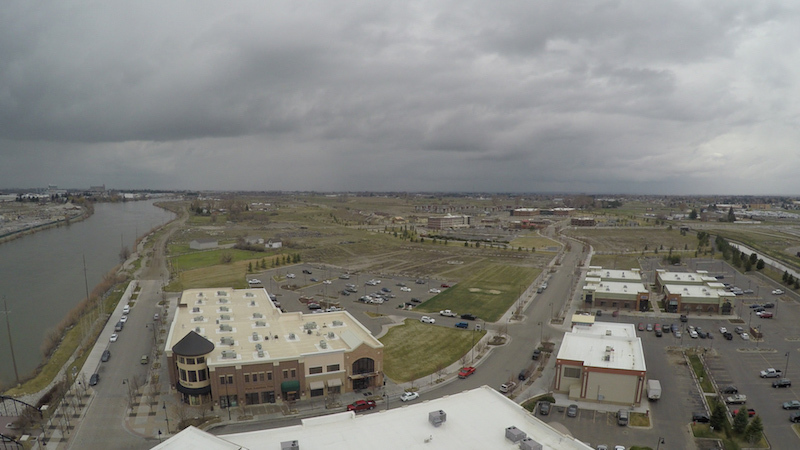 It is appropriate that we move the site to coincide with the future of Idaho Falls. The tradition of holding the show on the banks of the Snake River continues. More people watch the Melaleuca Freedom Celebration in Idaho Falls than any other single one-day event in Idaho. This creates a challenge in both parking and traffic. Melaleuca and Snake River Landing are working with fire and police personnel at the city of Idaho Falls and Bonneville County to create a comprehensive traffic and parking plan. For several years, a fun-filled event named the “Liberty Festival” provided the opportunity for various local companies to display their wares prior to the fireworks show. That event was formally hosted by the Idaho Falls Chamber of Commerce. Recently we were sad to learn that the Idaho Falls Chamber will no longer be sponsoring that event. Both Melaleuca and the management at Snake River Landing believe that the welfare of all local businesses need to be protected. Therefore, Melaleuca and Snake River Landing will step up to support these valuable members of our community. We are in the process of entertaining bids from other event management organizations to vastly improve that event. This new event will be named “Riverfest” and, besides providing an opportunity for local companies to display their products and services, there will be several food vendors, local bands and a plethora of opportunities for families to come have a “whale of a good time” at Snake River Landing during the afternoon prior to the fireworks show. We anticipate a much larger crowd than in previous years. Vendors interested in participating in Riverfest should contact Tony Lima or Rusty Cannon at 208-528-2011. We anticipate that Riverfest will gain popularity as it proves to be the place for families to spend their 4th of July. As is the custom with these types of events, vendors who participate in Riverfest this year will have a priority over other vendors in future years. We know that we will not be able to accommodate everyone, so please act quickly if you would like to participate as a vendor.